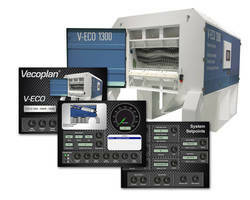 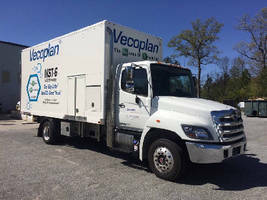 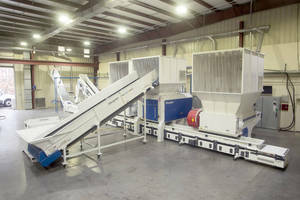 Vecoplan, a worldwide leader in size reduction technology, designs, engineers, manufactures, sells, installs, and provides parts & service for a comprehensive line of wood waste grinders and systems. 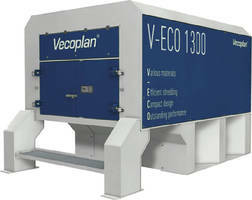 Vecoplan's RG 52/100 U wood grinder features true dump and run operation, so entire containers of waste can be fed into its hopper. 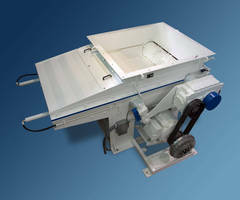 The RG 52/100 U's hopper has a volume capacity of 3.75 cubic yards and a 52"x58" hopper opening. 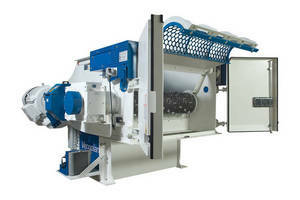 Its 15" diameter rotor has 30 indexable cutting inserts, is powered by a 100 HP motor, turns at 100-145 rpms, and is fed by a two speed hydraulic ram.